1. Why pick an all-inclusive hotel? If you're like most of us, working the 9 to 5 (or more) hours, you're probably always counting down the days until your next holiday. And what better to enjoy a stress free holiday, than a Malta all inclusive hotel, where you can just sit back, relax, sip on a cocktail. No worries about where the kids will stay, no arguing about which restaurant is best, no stressing out on which beach. Just relax, by the pool, or a private beach and bask in the sun. A year is a long, long, long time to get through without something to look forward to, and if you’re dealing with kids, work, school homework, then stress is probably your natural state of living, and that isn’t good either for you or for your kids. If you’re not convinced, then listen to this: a forty-year study concluded that it’s actually beneficial for you to take regular holidays away from work - doctor’s orders! And you can’t say no to a doctor, now, can you? But, you might be asking yourself, where can you go to keep the holiday stress-free? In particular, for familiies with youngish kids, holidays might actually get more stressful. Having to pack clothes for all the kids, then figuring out places to take them such that they don't get bored, making sure you don't break the bank with all the eating out, and just making sure that they're safe and out of trouble can take it's toll. And after the holiday you just feel more burnt out. So what's the solution to a nice, relaxing holiday, where you can rest-assured that the kids are safe and well taken care of? You want to book a holiday at a Malta All Inclusive hotel. Why pick a Malta All Inclusive hotel for your holiday? But why book with us? Choice Holidays is the largest local booking agency in Malta, and with a small team made up of hospitality experts, we have many years of experience in curating all-package, mega-relaxation deals to make you completely unwind from the stresses of your day to day life - all based in sunny, tiny Malta. And why Malta you may ask? Surrounded by crisp blue water, and scattered with countryside and picture-perfect views, Malta has been a go-to holiday destination for years, and it’s time you discovered it too. 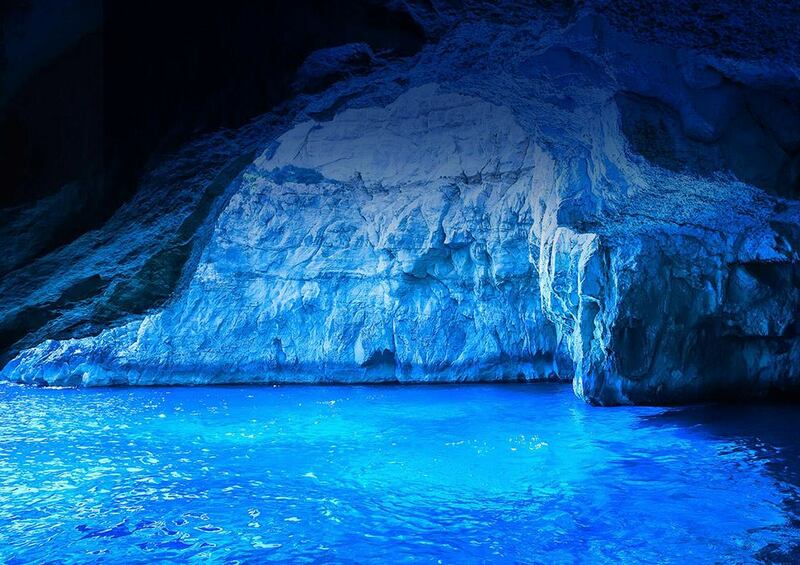 The Maltese Islands are made up of Malta - a tiny, 45-minute-drive-long island that’s easy to get around in as it is to take good pictures of - and Gozo, its sister island, a mere 25-minute ferry ride away. The islands are known for their friendliness, unmatched beach opportunities, and the luxe hotels that dot the islands at a fraction of the cost, especially when you book through a local travel agency like Choice Holidays. The islands enjoy nearly well over 3000 hours of sunshine per year, very little rainfall, and a temperate climate that means visiting the island at any point will give you good opportunity to swim and relax on a beach, instead of by a pool. But if you’re looking for amazing beaches, with all that golden sand, AND also private pools which don't get too busy, then thes below nine all inclusive resorts and hotels are perfect to perk you up before you go back home. 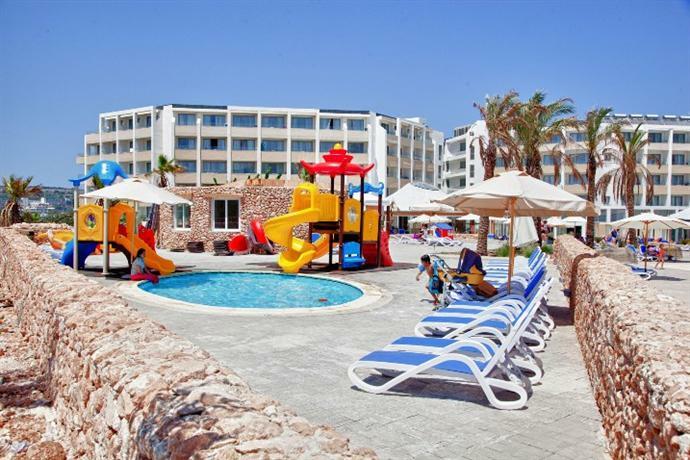 With amazing facilities, to-die-for food, and even child-friendly and child-safe facilities to entertain your kids while you really relax, there’s really no choice - book through Choice Holidays, go to the Maltese Islands, and feel your stress disappear. Need more convincing? Here’s everything you can do at the best of the best hotels that Malta has to offer, and what you can eat afterwards! Are you ready to relax? Let us show you how! The db Seabank Hotel + Spa is a massive 4-star resort that’s pretty much like a mini island all on its own. Starting with the family rooms available, the resort is designed for comfort and relaxation, with the family room split into two sections - one section for the kids, and one section for the parents, leaving you alone but within hearing distance of the little treasures: definitely close enough to hear them jumping on one of the full-size beds! But you’re not here to holiday just in the room, of course, and the db Seabank Hotel + Spa is definitely not a hotel you’ll want to avoid experiencing. Holiday like royalty at the Pearls Spa, manned by a team of therapists whose life mission is to make sure that you are completely, utterly, and absolutely relaxed for the duration of your stay at the db Seabank Hotel + Spa. Sign yourself up for one of the Mother of Pearl treatments, a 120 minute celebration of you, untangling your stress with foot rubs, massages, a coconut body scrub, and a mother-of-pearl body cream to get you ready for lazing by the poolside. From there, your choices are limitless: experience the pool or the constantly-revolving activity programmes, burn off some calories with boccia or sit in the Dome theatre and watch the db Seabank Hotel + Spa performers put on the performance of a lifetime with costumes, music, and bombastic singers. Speaking of the pool, there’s three to choose from, and one is no-kids-allowed, meaning that it’ll be quiet and secluded enough for you to really relax - but don’t worry about your kids! They’ll be more than entertained with the children’s animators or lazing around the games room and play-area: at the db Seabank Hotel + Spa, little guests are guests too, and kept fully entertained and out of their rooms until dinner. As for dinner, you’ll never have to leave the hotel if you don’t want to! 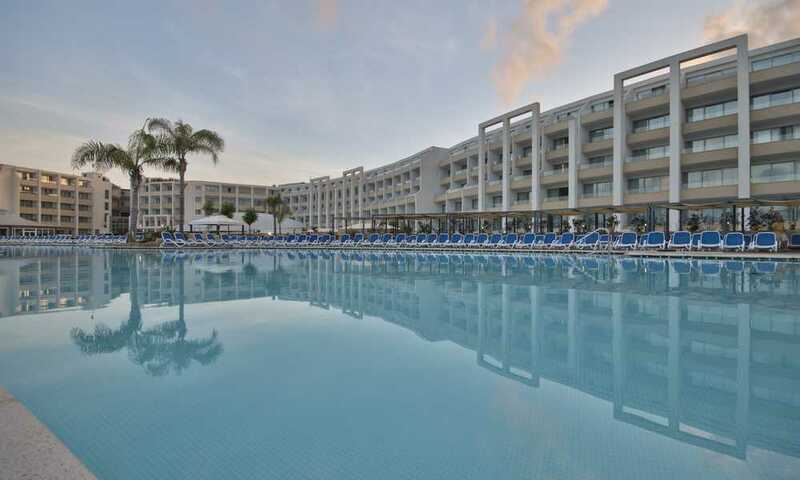 The db Seabank Hotel + resort has over 10 restaurants and a dozen different cuisines to choose from, including Maltese and Brazilian - the world is your oyster! The Seashells resort knows that an all inclusive holiday is the best holiday, so when you’re planning on booking such package, they are able to deliver! With daily entertainment to keep both you and your children in high spirits, there’s nothing not to like about the Seashells resort. The view is stunning, the wi-fi is free, and when you book all-inclusive, you can also benefit from the use of the sauna at the spa as well as regular use of a Turkish bath. Most of the rooms have great unobstructed sea views and there are plenty of amenities, and a number of great restaurants with walking distance of the hotel, including Cheeky Monkey, a gastro pub, Ocean Catch, for sea food, Il-Kaptan for great pizza and plenty of others. Seashells resort keeps the food flowing with breakfast served from 7AM-11AM, lunch from 12:30-14:30, and dinner from 18:00-21:00, not to mention sandwiches and snacks from 12:00 to 23:00 and free-flowing beverages from 10:00-23:00, there’s no shortage of things to eat and drink on your holiday - and if you’re on holiday, then eating and drinking should absolutely be on your list! 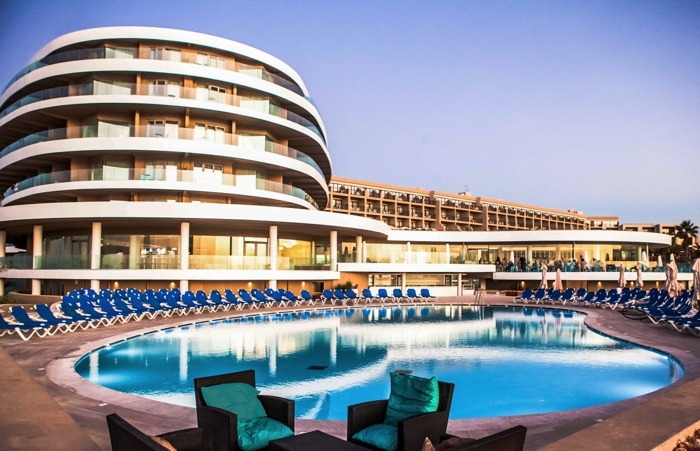 The Solana Hotel is the height of elegance in the heart of Mellieha, with an unmatched view of the sea and the beaches, the Solana Hotel is affordable, high-end beauty. This is a perfect choice for families, though of course, it's suitable for everybody. 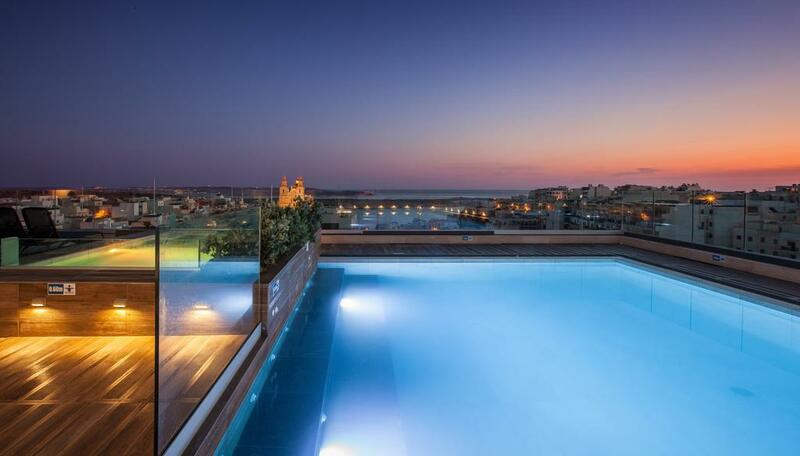 The crowning jewel in the Solana’s crown is the upper-level pools, the perfect place to sip an end-of-the-day cocktail while you’re watching the sun sink down over Mellieha. The seasonal poolside bar makes sure that no matter what you’re craving, you can have it by the pool, and the kids’ entertainment areas means you don’t even need to worry about your kids being unsafe or bored while you’re relaxing! As for dining, the three restaurants offer a daily-changing menu that takes advantage of Malta’s abundant seasonal produce and moves it from farm to fork to you. Choose from Maltese fusion, Italian, or impeccable seafood, and really indulge yourself while you’re staying at the Solana. As for night-time, why not take a walk along the amazing Mellieha coastline, down to Ghadira bay and beyond to Ahrax or the stunning Red Tower fortress? We promise it’s worth the walk! As for the rooms themselves, the hotel has 165 rooms each with individually-controlled central heating and air conditioning - a must have for Malta, regardless of when you visit. You can check out the various packages available below, suitable for every budget, but hurry, this one sells out quickly. 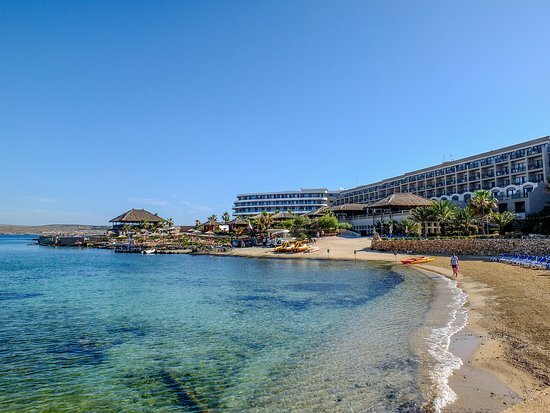 The Ramla Bay Resort, at the very tip of Mellieha in Malta has everything you’re looking for, whether that’s going to be high-energy activities, or low-effort relaxation, but rest assured that whatever you go for will be the perfect antidote to stress. Whether you’re going to relax by the pool, lounge on the private beach, or unwind at the spa, it’s an experience that has no parallel. The spa offers treatments from a traditional, bone-melting Turkish bath to an amazing ice-shower, and treatment packages on request, and the pool can either be the luxurious, heated indoor pool, or the sprawling outdoor water-sports centre. There’s no better time to eat than at the Ramla Bay Resort, with a choice of eleven restaurants and numerous cuisines to pick from - they even cater for vegetarian and vegan options, and all the food cooked is built on freshness, availability, and on covering as wide a range of tastes as possible. There are various options to choose from, click on the below to check what is currently available. The Hotel Santana is a St. Paul’s staple, with a pride-of-place spot overlooking the sea surrounding St. Paul’s bay in the heart of Qawra - but the stunning views aren’t the only thing it has going for it. The Santana has huge, luxurious rooms for families, but is also ideal for couples (both young and elderly), has a landscape garden studded with flowers for ultimate serenity, and multiple facilities open for the use of guests when they book a stay at the Hotel Santana. Benefit from the use of one of the three pools, whether it’s the rooftop-spanning lido with the view of the sea, or the indoor pool heated to a perfect temperature. After a swim, stop by the spa to use the jacuzzi, and sign up for one of the restorative treatments offered by the specialised therapists. Hungry? The Hotel Santana opens up every day with a gigantic breakfast buffet, and offers a choice of three high-end restaurants on the premises to make your life easier, and your belly full. All Inclusive holidays at this hotel are very attractively priced, so we'd recommend checking out what's available by clicking on the button below. The Dolmen Hotel takes a ‘welcome home’ approach to holidaying in Malta; it thrives on treating guests like extended members of the family, and staying at the Dolmen Hotel is an experience in luxury, comfort, and enjoyment. All the rooms are built to reflect Maltese residential styles, and with 484 rooms to choose from, all with an unmatched view, there’s really no decision to make about staying at the Dolmen. This is a perfect choice for both families and couples. Hotel guests can treat themselves to Myoka spa treatments available on premises at the hotel, whether it’s a simple massage or something else from their selection of over 80 rejuvenating treatments. If it’s a day by the pool you’re after, the Dolmen Hotel’s Neptune in-pool bar is the best of both worlds: get yourself a drink, and work on your tan at the same time. The Dolmen Hotel also has a sun-soaked infinity pool for you to snap some pictures to show the friends back home. As for the kids: leave them in the kid’s pool, where they’ll be entertained with toys and games, leaving them worn out and ready for dinner at one of the Dolmen’s impeccable seven restaurants. Round off the night at the Dolmen Hotel’s MYNT, an on-site nightclub, and wake up to do it again the next day: it’s guaranteed to get you smiling. Seaview rooms have prices which make a Malta all-inclusive holiday an all too attractive option! Click the button below to check current availability. Looking for quiet, peaceful surroundings, and muted luxury? 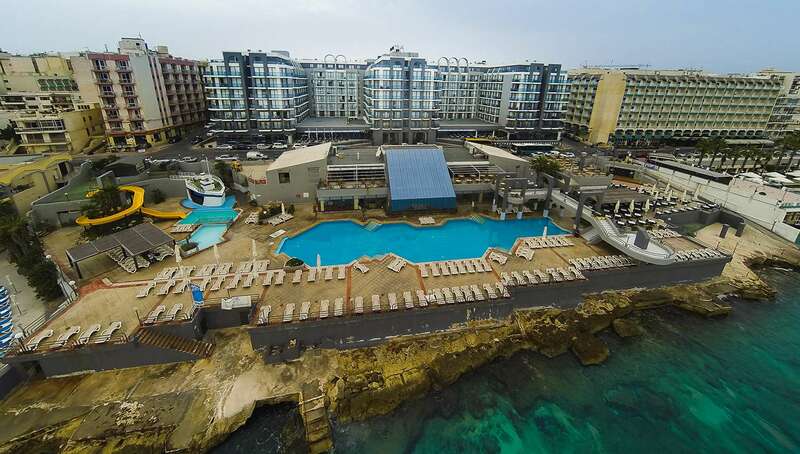 The Salini Resort is an incomparable first choice, with an angular, light-drowned facade, access to some of the least-populous beaches in Malta, and a selection of rooms bound to leave you wanting to stay longer. From the luxe dining options, featuring some of Malta’s best-known restaurants and tantalizing cuisine, to the upgraded facilities offering everything from spas to tennis courts, the Salini Resort offers holidayers a taste of the good life. If all you’re looking for is a quiet place to rest and relax, the Salini Resort should definitely be a consideration, and with the added benefit of entertainment provided for children, babysitting services, and two outdoor pools to make use of, the Salini Resort is the perfect restorative holiday to make yourself new again. Some of Malta's top restaurants can be found at the Salini resort, including the exquisite Giuseppe's, and one of Malta's best pizza places - Vecchia Napoli, for authentic napoli-style delicious pizza. The Maltese seafront are some of the most picturesque locations on the island, and with ample properties to choose from, it might be easy to overlook the Bugibba Hotel - however, the Bugibba Hotel’s simple and beautiful location is only 2 minutes away from a beautiful beach, and its central location makes it easy to get to anywhere on the island. The great thing about this all-inclusive is that it is within the reach of anybody really, it won't eat into your budget - especially if you're not looking to spend ALL your time in the hotel. 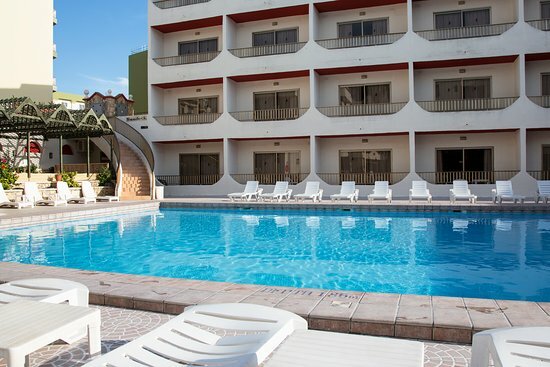 The Bugibba Hotel offers huge, comfortable rooms, a selection of 2 pools, and a buffet-style restaurant, with a bar. Add in the inclusion of a library, and the use of a games room for the little ones, and prepare to relax. The San Anton hotel has an enviable location at the heart of Qawra, but there’s more to recommend it than just location, location, location. This is a great hotel, for those who don't want to spend an arm and a leg, and is ideal for families. It also offers all-inclusive deals when you book one of its luxurious rooms, with a choice of half-board, full-board, or breakfast only included. The buffet-style restaurant is packed with delicious, hearty meals, and if you’re just there for the sun and the sand, the pool-side snack-bar has all the drinks and food you need to keep you happy. Booking an all-inclusive holiday looks complicated on paper, but Choice Holidays makes it easy with unbeatable prices at floor-scraping prices - you don’t have to worry about anything, and with the ‘Book for £1’ capability, you can book your all-inclusive holiday for just £1 and then pay it off up to 40 days before you travel. Choice Holidays will also make sure that every holiday you book is exactly what you want to book, and their staff is trained to make the booking process as easy as pie. If you have any questions, or you want to clarify what the all-inclusive package involves, you can pick up the phone, call, email, or talk on the live chat, and someone will get back to you with an answer to your question as quickly as possible. Choice Holidays is a local team run by local people, and it has the benefit of knowing what makes a holiday to Malta special, memorable, and enjoyable for every price point, every family situation, and every specification. Malta has activities that everyone from children to adults can enjoy, and with 5000 years of history to explore and numerous all-inclusive hotel deals, picking your place to go to isn’t going to be easy, but it will definitely be worth it. Best of all, when you book through Choice Holidays, you get your holiday for a lot less than you would through other internet or red-brick travel agencies - in Malta, it’s not who you know, it’s how you know them - and with 45 years of experience as travel agents on Malta, Choice Holidays knows how to make a budget holiday feel like a five star extravaganza. If you’re interested, click here for Choice Holidays’ offered deals and all-inclusive packages - you won’t be disappointed.